If we are to be thrown out of the plane without the parachute a deal would give us, we must know what to expect - apart from the ground hitting us in the face. The EU Commission has been straight: A no deal is now the default position for the bloc. It is even setting up 20 new border inspection points, yet from our own Government we have heard nothing. It's high time to look beyond Theresa May's travails, and focus on our own. But before we do so, it's worth noting the dereliction of the DUP in meeting its responsibilities to all the people in the North, and on the rest of this island. By refusing to back Mrs May's deal, it also walks away from the Good Friday Agreement, which has delivered two decades of peace. With no fallback in place, this is a rejection we may all pay for. The EU is intensifying efforts to mitigate chaos in transport, travel and trade. 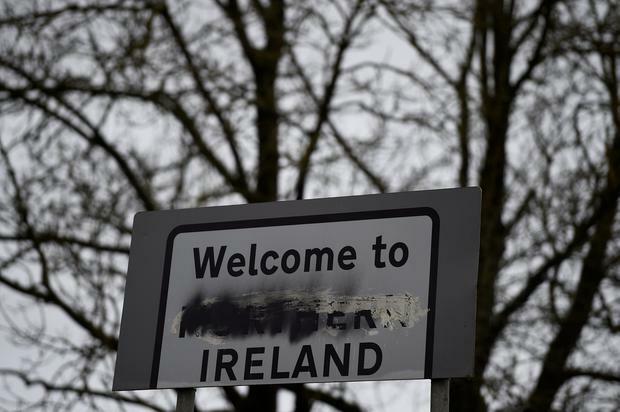 But for this country, the primary concern must be how to manage a looming hard Border. The Taoiseach knows in the context of a crash-out, there will be no backstop. Yet yesterday he walked away when asked for clarification on how such a Border would be enforced. We share the Government's hope something may happen to obviate customs checks or security infrastructure. But "hope" is not a strategy. German Chancellor Angela Merkel has tasked Michel Barnier with seeing how the Good Friday Agreement might be protected. But looking to London or Belfast for deliverance seems futile. Even with her cabinet openly at war, Mrs May entertains 'Hail Mary' notions of a stalled third vote victory on her deal. Later this week, we should see indicative votes across the House; but betting on MPs coalescing around anything in the prevailing bedlam would be unwise. The UK prime minister will probably not be in situ much longer. Right to the bitter end, whenever it comes, her insistence on playing the role of the blind functionary fits her perfectly to George S Patton's description of: "A civil servant is sometimes like a broken cannon - it won't work and you can't fire it." She has had to resort to threats of a general election to save her skin. If she has seen off moves to topple her, it is only because the wretched plotters can't even agree on a replacement. Unless the Commons seizes and then asserts control, we are staring into the depths of a messy UK divorce. The British executive has proven itself utterly unable to handle the complexities of Brexit. As of now, there is no solution in sight for the Border, the EU's only land frontier with the UK. Preventing it from returning to its dark status as Europe's worst flashpoint must be our Government's priority. At this juncture, precisely how it plans to do so can no longer be kept secret.